The holidays is a season of giving, and it’s also a season of spending! If there was any time of the year where consumers are in a frenzy to spend, it’s now. According to forecasts, holiday retail sales in 2017 are expected to reach $680 billion, so it’s not surprising that the season is a blur with marketing campaigns designed to get customers’ attention. Getting your business to stand out from all the holiday promos isn’t easy. The biggest question among marketers is how to outdo last year’s campaign and stand out from all the other stores. 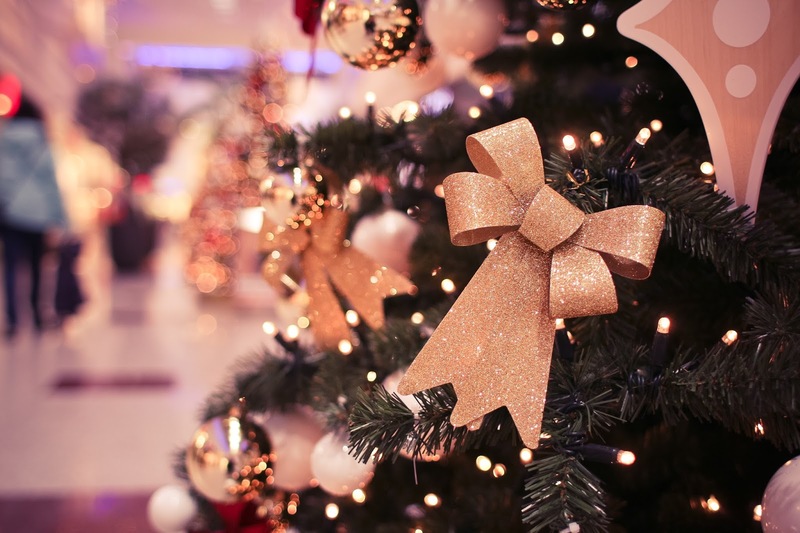 In this article, we have 9 holiday marketing ideas to give your store that much-needed advantage this holiday season. Holiday-themed videos are always a hit with customers when the season starts. You can post them on your website, social media pages, and in customer emails. The important thing to remember is to create a fun and lighthearted tone. This is not the time for hard selling; rather, your goal is to become memorable to your audience. Gift ideas videos. People are always looking for that perfect gift for a loved one, so if you’re a retailer, a video showing great gift ideas from your store is bound to get a lot of views. Choose the right holiday background music, and make sure to have a strong CTA at the end to encourage a purchase. Videos referencing holiday events. If you can, tie your products or services to office holiday parties, family gatherings, or other holiday events. That will keep your business top of mind throughout the season. “Year in review” videos. People love to reminisce about the past year during the holidays. If you can reference popular events from the year and tie in your products and services, that’s a great way to get people thinking about your business heading into the New Year. The holiday season is a special time for family, friends, and co-workers, which is why everyone tries to find the best places to hold events, purchase gifts, and create memories with loved ones. Yelp’s factsheet as of September 2017, indicated retail shops as the most reviewed business category at 22% of its total reviews. Many people go to Yelp to find stores that offer what they are looking for and check customer reviews. As a business owner, you should take advantage of your Yelp profile to help stand out during the holidays. Make sure that you have “claimed” and authenticated your business, and have responded to reviews that you have received. You should also make sure your holiday hours are accurate. People who search Yelp spend more time on listings with photos. So, update your profile for the holidays with holiday-themed photos that feature your store such as your store displays, a Christmas event you’ve held, and even photos that your customers have shared on your social media feeds. There are also Yelp Deals, where you can offer your visitors incentives for visiting your profile. These are consumer discounts in the form of prepaid vouchers that visitors can purchase on your Yelp listing and use at your store. Announce holiday-themed events on your Yelp profile to stand out to customers. When not shopping around for gifts this holiday season, customers are on their social media accounts going through updates and looking for entertaining posts to read. As a business owner, your job is to create entertaining posts that will stand out to your target customers. You can start with creating festive images on your social media, sharing photos of your seasonal products, or even run a holiday giveaway. Whatever it is that you choose, the objective is not to hard sell, but to be memorable, informative, and engaging so customers will remember your brand when they go out and begin their holiday shopping. You also want people to share your postings with their connections so you can reach a wider market base and have a better chance of getting more people into your store. Digital campaigns affect both online and offline sales, so it’s a good idea to concentrate on getting an effective and timely Google Adwords campaign for the holidays. Google Adwords lets you bid on keywords (pay per click) you would like to use to advertise your business and whoever wins the bidding gets a space at the top of the search engine results page. You can target holiday keywords such as “holiday gift ideas for teens” or “Christmas gifts for new moms.” The broader the phrase, the more expensive it is usually is to bind on, so try to narrow down the keywords as much as possible. The average cost per click for 2016 was $2.14, but prices can increase by 140 % each year during the holidays. It’s important that you maximize your opportunity considering the costs involved so make sure that your landing page is as festive and generous as the season. Go all out on Christmas specials and countdown incentives to increase conversion rates because your competitors will be doing the same. One of Starbucks’ best marketing ideas (in some locations) is their limited edition annual planner. Even with smartphones that can do almost anything to manage your day, the Starbucks planner is still considered a special gift. It’s well made and can only be redeemed by collecting promotional stickers from each coffee purchase, creating a sense of exclusivity. The Starbucks planners can be redeemed exclusively after completing a sticker card that requires a purchase of their handcrafted coffee products. You can do something similar for your own store. Have your marketing team come up with a special item, a plan, and a budget. For example, you can find a supplier that will allow you to order a customized pen that doubles as a stylus, or an elegant looking wallet engraved with your logo. This kind of holiday season marketing idea will have to be planned ahead of time, and you may have to spend a considerable amount of money for the initial design, launch, and advertising. But if done right, this is a marketing idea you can repeat every year that your customers will look forward to. It will not only increase your sales, but it will also improve brand awareness and reputation. There’s no better time to campaign for a worthy cause than the Christmas holidays. Being the season of giving, consumers are in the mood to give to charitable causes. Partner with a charitable organization, and pledge a donation in kind for every donation a customer makes. Ideally, this should be relevant to your product or brand to make it memorable to your customers. For example, if you have an office supply store, offer your customers a chance to donate a set of notebooks and pens to schools in need. If your store sells clothing and linens, ask customers if they would be interested in donating winter clothes or a blanket to the homeless. Every holiday season, Macy’s and the Make-A-Wish Foundation help kids send letters to Santa and contribute to children in need. Have the items already prepared and wrapped in eco-friendly gift wrapping and let your customers write their name on the cards. Before the charitable campaign comes to a close, take photos when you turn over your gifts to the charitable foundation and make sure to put them on your website. Physical store events are always fun, but they’re so much better when done during the Christmas holidays when everyone is in a festive mood. There is always the meet and greet with Santa event, but why limit your event to that? If you run a bookstore, you can hold a Christmas story telling event for children. If your business is involved in electrical supplies, invite your target customers to a demo on Christmas lighting hacks. Grocery stores can hold a gingerbread house-making contest where families can join. This plant nursery announced a family Christmas event with activities and discounts available for their customers. Make sure that you advertise these events online through your website and social media platforms. You can offer special discount vouchers valid for the day of the event. If possible, have a blogger or a local journalist cover your event to get maximum visibility for your store. Last year, 20% of holiday sales were a result of email marketing, and that is expected to rise this year. In order for your emails to stand out, make sure your subject lines eye-catching. Add Christmas themed emojis and imply a sense of urgency on them (e.g. Christmas discount valid for 24 hours only!). As for the content, make your holiday marketing emails worth your target market’s time by adding value to your offers. Invite your customers to participate in a “naughty or nice” reward after minimum purchase. Send an “end-of-year” update email to your customers with special discounts for your most loyal patrons. For online shops, send discount coupons or free shipping vouchers for their next purchase. The latest statistics on retail e-commerce shows 2016 holiday sales from online stores amounted to nearly $400 billion, and that is expected to increase in 2017. Aside from making sure that your website is responsive, there are other mobile-friendly marketing campaigns you can adapt for the holidays. For example, you can offer your customers “mobile-app-only” offers and discounts. Ask customers to provide both email and mobile phone number for special discounts when they are shopping in-store and check out with a purchase. Make sure that your marketing messages are short and sweet. Too much text on a mobile message can end up losing your target customer’s interest. Don’t require mobile users to provide out too much information in order to sign up for a promotion or create an account on your website. When marketing on your social media account, make sure to use large call-to-actions and font to make them easier to see on a mobile device. 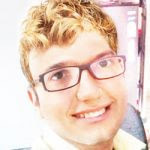 Use memes and other eye-catching images to stand out and attract attention. Remember that you have only a tiny window of opportunity before a mobile user scrolls down to other posts. The holiday season is an excellent opportunity for marketers and small businesses to aggressively campaign and increase their sales. The only limit to your options is your creativity and how prepared you are to make your store stand out in a sea of holiday marketing strategies. 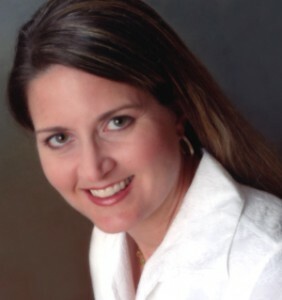 Krista Fabregas is a staff writer and ecommerce analyst for Fit Small Business, specializing in ecommerce. Krista spent 16 years building two specialty ecommerce sites up to more than $1.5 M in gross annual sales. Few things are more frustrating for ecommerce businesses than customers failing to check out their shopping carts. Even if your website is effective enough to convince a customer to fill their online shopping bag, there is never a guarantee that they will follow through with their purchase. 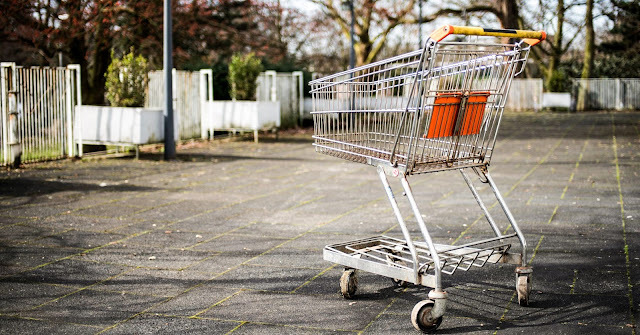 According to Baymard.com, a reputed e-commerce analytics website, the average abandonment rate for online shopping carts is approximately 68%. This number is too high to ignore and further proves the importance of slowing down cart abandonment rates for the success of your e-commerce business. 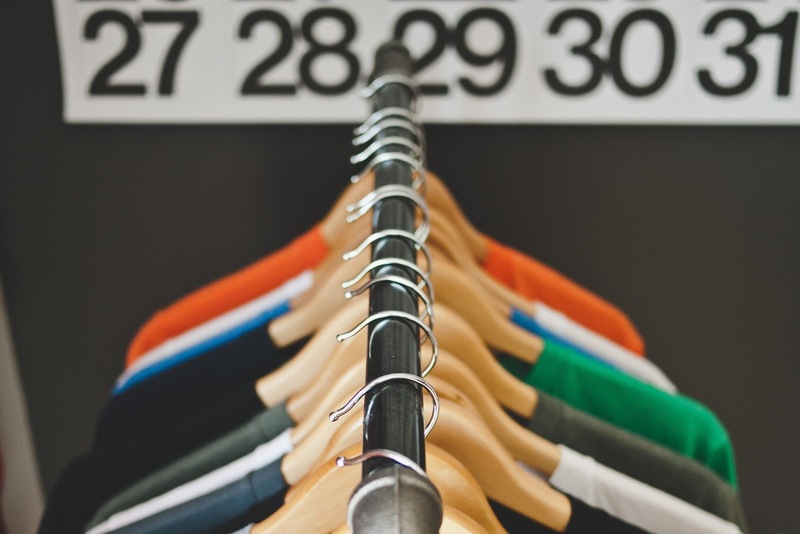 The shopping bag abandonment rate of your website can be calculated by dividing the total number of finalized transactions by the total number of initiated transactions. This is an important statistic for e-tailers to consider because high abandonment rate could hint that your website has substandard or even poor user experience. High shipping rates on your items can repel even the most interested customers that need your products. Put yourself in a scenario where you're an online shopper. You finally spot the item you want and put it in your shopping bag. After filling out the address details, you're surprised to find out a shipping rate that makes up half of the price of the product itself! That’s a good reason enough to abandon the item completely and look for alternatives on a different site. Online shoppers are usually price-sensitive, so it is integral for you to provide free or a small flat shipping rate for all items. Free shipping rates will encourage customers to come back to your site to make more purchases. This results in more sales revenue generated as well as increased website recognition as satisfied customers are likely to recommend your site to their friends and colleagues. Research from UPS revealed that over half of the top 10 reasons for cart abandonment deals with shipping. There are various ways to combat this. Zappos is an e-commerce website that provides free shipping for all their items. Display the shipping cost early. Never lead your customers and then hit them with your shipping costs. This catches them off-guard and results in them leaving your site in dissapointment. 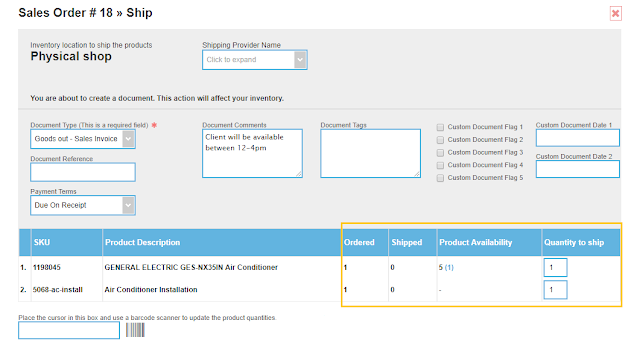 Display shipping rates based on location. Online customers usually search for the cost of shipping specifically to their location before committing to a purchase. 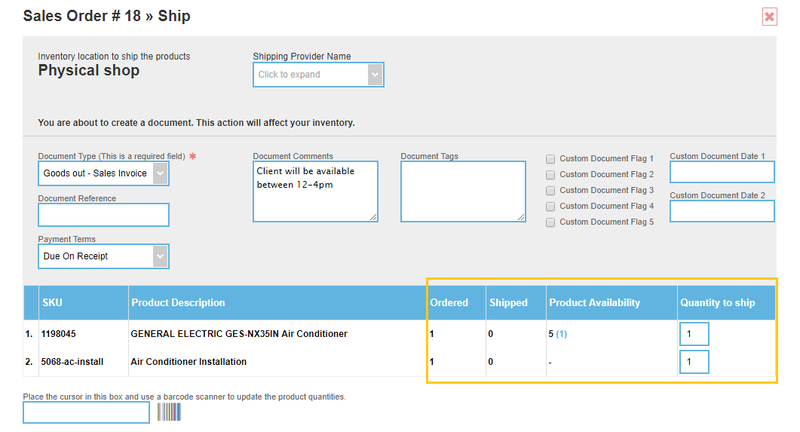 Incorporate a shipping cost calculator close to the price displayed on the item. Flat rate shipping. A standard and fixed shipping rate lets your customers know the price they can expect when it comes time to check out. Customers have lives and can face various distractions that hinder completions of their online purchases. Customers may also be time-conscious and may not have time to fill out all details in the checkout process, so they place an item in their cart to be checkout out on another day. It's important for e-tailers to understand these circumstances and take action by re-targeting cart abandoners to remind them about their cart. Customers that land on your site leave behind online traces termed as “cookies”. You can track customers by analyzing cookies and place reminder ads whenever they search for products similar to yours. For example, your PPC banner will appear on the browser of your customers to recapture their interest in purchasing. E-Commerce website Koovs uses Pay Per Click (PPC) ads to for specific re-targeting. Still one of the most efficient acquisition tools - e-mail - ensures that your message reaches your audience and is seen. Sending reminder e-mails that are embedded with links to the item page can encourage action on customer's end. It's critical to send out reminder e-mails within 24 hours after cart abandonment, as conversion rates fall 50% after a day. Simply calling them at an appropriate time (derived from conducting consumer research) can alert consumers to take action. 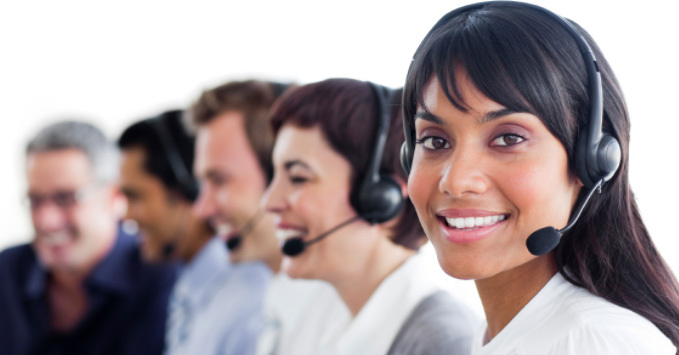 Incorporating persuasive telemarketers with a pleasant voice tone can go a long way in convincing shoppers to stop what they’re doing and complete the purchase of the abandoned item. The majority of online shoppers abandon their carts during the checkout phase. The logistics involving the completion of online payments may take up a lot of the customers' time and drive them away from completing the payment. 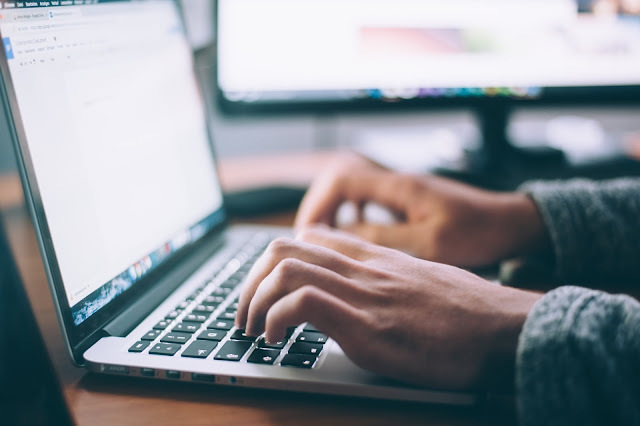 Filling information like payment terms, address, and personal information in separate pages might be too long of a process, especially if the customer is on their mobile phone or their connection is slow. Make sure that your website’s entire purchase process takes less than 7 steps. For instance, Wal-Mart received countless complaints from their customers about their checkout process, which was ironically 7 steps. Ideally, the process should not take more than 4 pages. 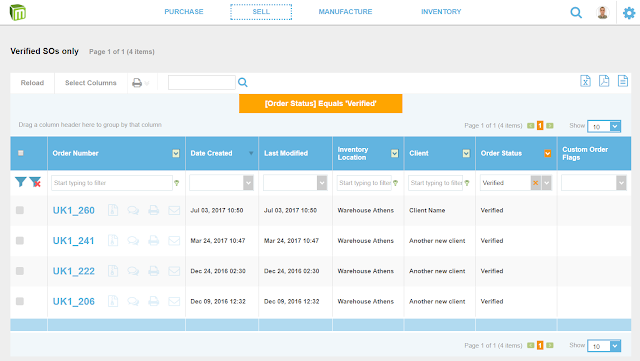 The checkout process of the above e-commerce software can be completed in a few pages, with the customer only having to fill out information on one page. It may sound like a tough task, but if you add these three ingredients to your e-commerce sales recipe, then you can expect to see your cart abandonment rates plummet. Not only that, you can expect your sales to increase due to the incorporation of free/flat rate shipping, shortened checkout process, and re-targeting cart abandoners. While there can be various reasons to why an online shopper might abandon his/her cart, if e-commerce sites address the most common reasons to customer cart abandonment they can expect most cases to be reversed in a short time. With Cyber Monday less than month away, holiday season is quickly approaching. Last year on Cyber Monday, consumers spent nearly $3,5 billion according to Adobe Digital Insights. These results easily blew past initial estimates. How this year will be? Well, if we take into account the ongoing increase in online sales, it looks that the pie has got big enough for every ecommerce player to take a bite. In other words, it is the perfect time for you to drive traffic to your online store and make sales. The deals on Cyber Monday are online only and generally offered by smaller retailers that cannot compete with the big retailers who do major clearances during Black Friday. We asked successful retailers and experts to share their best tips on how they make the most out of Cyber Monday. With all the offers and discounts, chances are (and the main goal) your website will see a high influx in traffic and you have to make sure that it can be handled. If customers can’t reach your site, they won’t complete their purchases. And if your site is too slow, it will leave a bad taste and discourage them to shop again. Pro tip: Contact your hosting provider well in advance and even arrange a special deal for additional space in their servers. You’ve done great ads, drove traffic to your website but where do these visitors land? Your usual main site? Not a smart idea. As Max Robinson, owner of FishTankBank stresses out, “ensure that your website makes it clear about the deals”. Landing Pages (as otherwise known) are the best way to convert traffic into leads. It’s where you will send all your traffic that comes from social media ads, search engine marketing, or email newsletters. A well-structured landing page that repeats the advertised offer will work as a reminder to your visitors and help you look consistent and trustworthy. Successful retailers usually take advantage of this to offer a discount or membership in exchange for the customers’ email address. That way they can ensure they have a means to communicate with visitors, even if they didn’t end up making a purchase that day. Pro tip: Return policy and shipping schedule are two things that customers regularly check before they make a purchase (who wants to end up with a bad Christmas gift?) – so make sure that they are clearly laid out and can be easily found by your visitors. Big retailers have dedicated marketing teams that handle promotions and they will probably have insane discounts that you can’t beat. Fear not though, there is still hope for you to take a share. “Get in first before everyone else”, advises Adam Watson, marketing director from https://hollywoodmirrors.co.uk. “People waiting for Cyber Monday only have so much disposable income for presents; if you have a chance of beating your competition, take it and start early”. Cyber Monday purchases are often intended for Christmas presents. Those presents (especially for close relationships) have high sentimental value, which also makes them very difficult to pick. People are often willing to pay a higher price for a more unique present, so getting their attention first might be a win-win scenario for both you and your satisfied customers. Success on Cyber Monday is all about timing. If you know a thing or two about marketing, you surely know how crucial (and difficult) it is to reach your leads and customers with the right message at the right time. If you have set up any type of analytics throughout the year, now is their time to shine. “The data from those is crucial on Cyber Monday”, says Jordan Harling, Head of Marketing at Roman Blinds Direct. 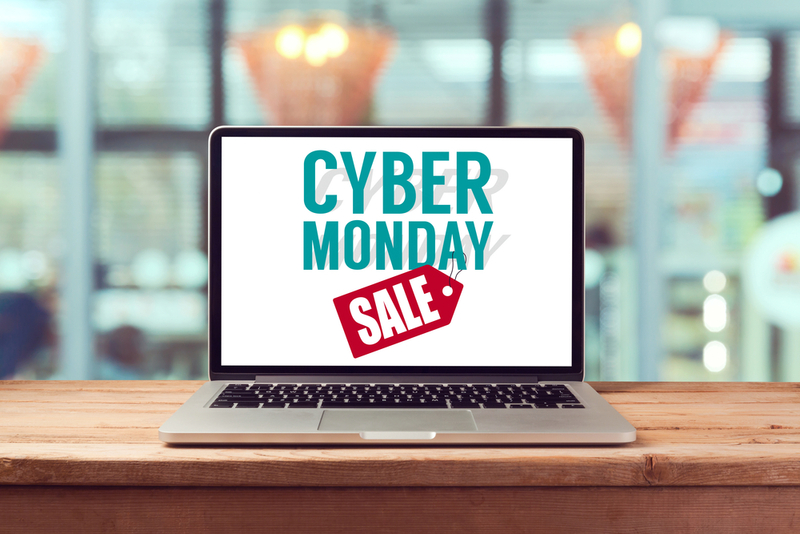 “By looking to see when open-rates and conversions are at their highest you can craft a Cyber Monday email that’s guaranteed to create sales. Your users are already primed to purchase, all you need to do is give them a little nudge at the right time”. Pro Tip: The average e-mail volume sent by brands saw a huge increase, with its peak being Thanksgiving Day. Start sending your newsletters before your customers’ inbox looks like a spam folder. There is so much pressure to beat the competition in offering better offers that other important aspects are often neglected. One is how to address mishaps. The period around Black Friday and Cyber Monday are generally extremely stressful for business owners and employees and the high traffic and demand often comes with unexpected issues. “Preparing your team is just as important as readying the website and inventory and is crucial to a smooth holiday season”, warns Bart Mroz, co-founder and CEO of digital commerce consultancy SUMO Heavy. “It’s essential to have plenty of training sessions for your team members to make sure everyone is on the same page”. Pro Tip: In times of panic, seminars and lessons are quickly forgotten, so having some tips or guidelines in list form in clear view for everyone, can be a lifesaver. More visitors, especially if they are not returning customers, means more questions. Especially if the terms of your promotions are not clearly laid out, your support inbox or your telephone line will see a rise in traffic. Having a representative available to answer any emails, Facebook messages, and tweets concerning offers and discounts is crucial to provide a happy shopping experience. 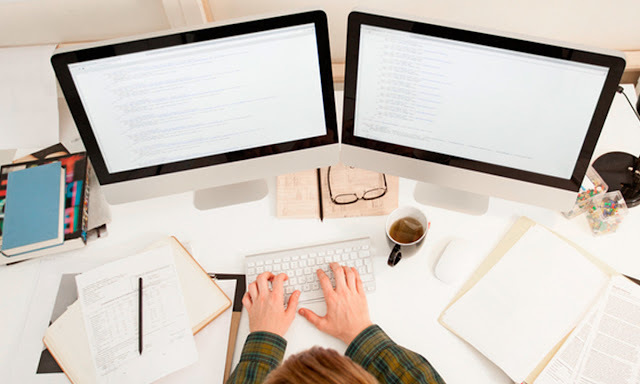 Pro tip: If your budget allows it, consider hiring a virtual assistant. That way, when you and your team members are sleeping, there will be someone from the other side of the globe, ready to answer customers’ questions. The good thing about Cyber Monday is that it is not expected to have a flat discount on all products across your website (or physical store). In fact, offering a discount on certain products can work as a great lure to see an overall increase in sales. 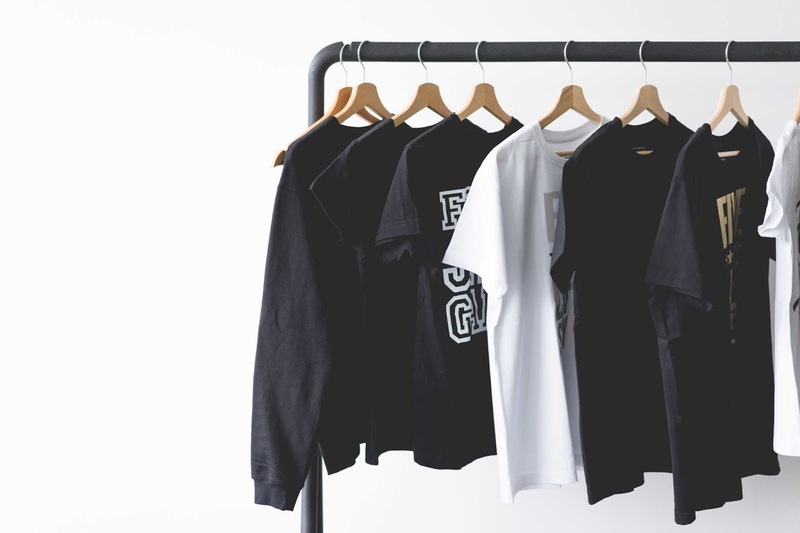 “Focus on specific product discounts, rather than large store wide discounting”, Adam Pearce, Co-founder and Marketing Director of Blend Commerce, advises his clients. “Running one or two products as a loss leader can help to drive traffic to your store. By grabbing this traffic, you can then upsell at checkout with lesser discounted products and drive up the profitability per customer”. Pro Tip: Make sure to accompany the discounted products with the right keywords, to make the most out of your search engine marketing efforts. Cyber Monday can be a great opportunity to re-evaluate your stock and clear inventory from products that move too slow (or not at all). “I like to offer sales on older inventory that's been hard to move in the past”, shares his experience Robert Ellis from Massage Tables Now. “Offering these sales on older inventory helps me clear out my stock and get a head start on my ordering while offering something of real value to my customers. When Cyber Monday arrives, Christmas will be just around the corner and we all know that during that time every inch of space matters. Having around out-fashioned, obsolete or unpopular products might give your store an outdated look. 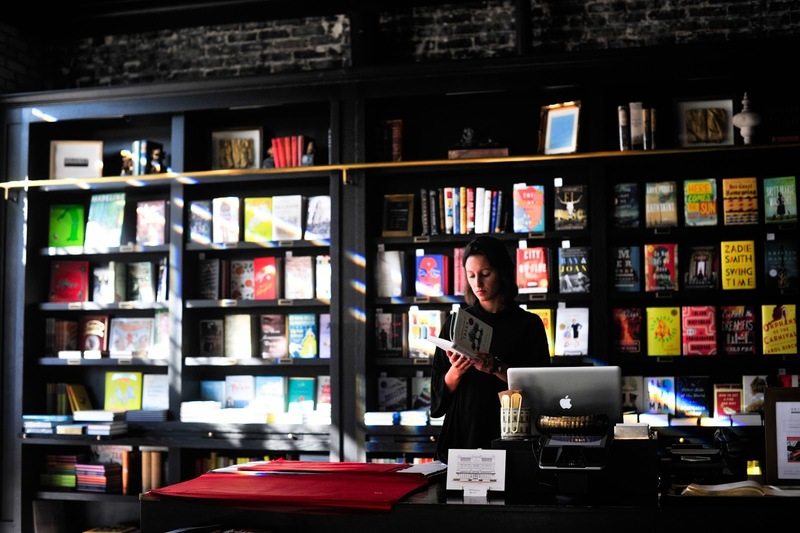 At the same time, researchers also back up what you may have noticed from experience: too many choices might be debilitating for the customer, resulting in fewer purchases. Pro tip: Use an inventory management system to make this process a piece of cake. 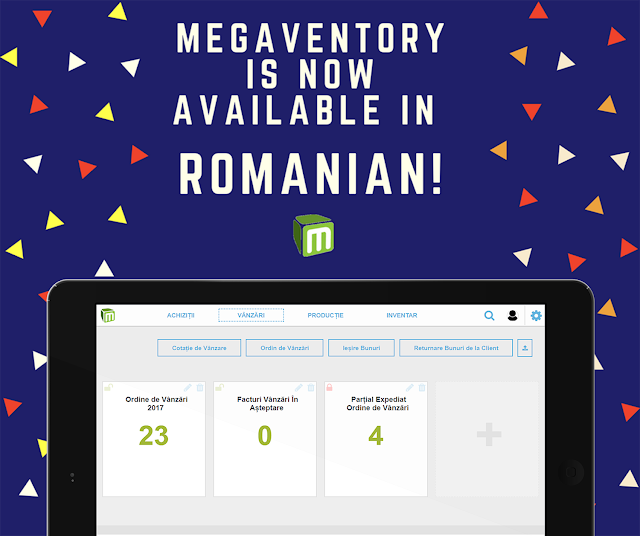 With Megaventory you can create intuitive reports and easily push slow-moving products for sale. Following some of the above tips will have a positive effect on the success of your Cyber Monday offers. You should not forget, though, that your main goal from that day should be to create the base for ongoing relationships with new visitors and strengthen those with your older customers. 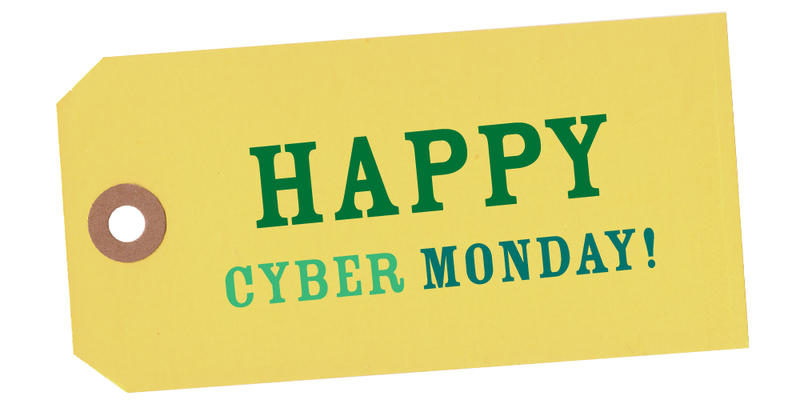 So, how will you make the most out of this year’s Cyber Monday? Share in the comments below or tweet us! And if you like those tips, don’t forget to share this with your friends and colleagues. Part of having a business that offers services along with their physical products is invoicing your clients for your services. Especially in the B2B market, most companies require an invoice before they place a payment, making it rather crucial for the service provider to be able to generate an invoice quickly and properly. In this article we cover how to invoice for services in Megaventory, track your service fees and include services in a work order. 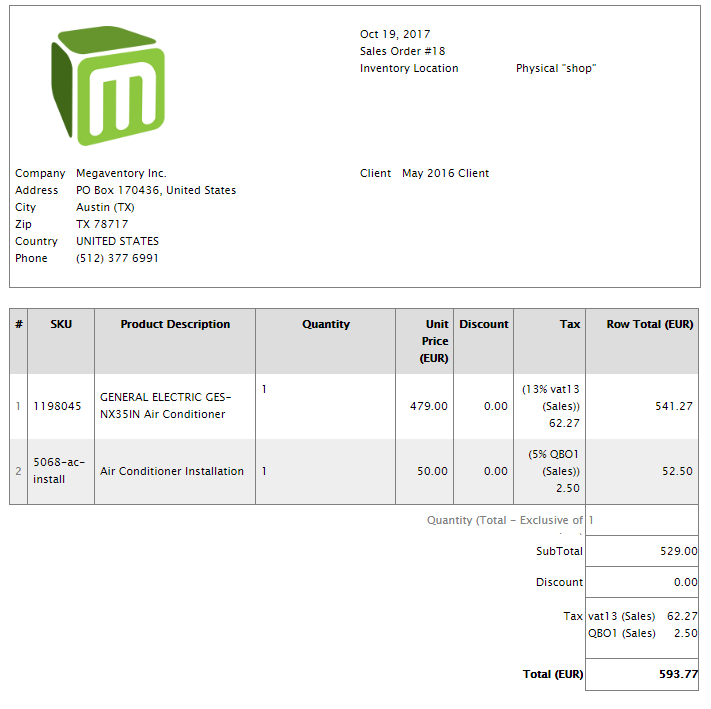 In Megaventory, a service is considered any non-physical product that is charged but there is no stock reduction when a sale is made. 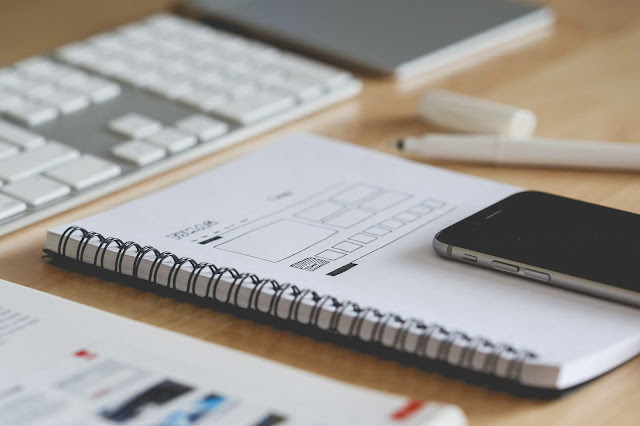 Therefore, under the product type of "service", you can track delivery fees, installation costs, labor costs, or even your hourly rates if you are a designer, a lawyer, an engineer or any freelancer whatsoever. Before starting invoicing your clients, your first step is to add your services as products in Megaventory. Log in to your Megaventory account and go to Products. Sign up for an account here. In the Product Type, select the option Service. Fill out the other fields, including the Default Sales Price if you have a standard cost for this service. Hit Insert to add it to your product list. Pro Tip: If you offer your services for free, you can still include them in the invoice with a zero price. For the sake of an example, let's imagine the following scenario: your company sells electric appliances such as air conditioners. As an added service you offer the installation of purchased appliances for an added cost, which has a flat fee. The above is a sample invoice created within Megaventory. Headers and footers can be customized to include information like declamatory messages or QR codes, to make sure you give the right message to your customers. Pro Tip: Especially for sales that the customer may need additional help after the purchase, it is advised to include info on how they can reach you best. 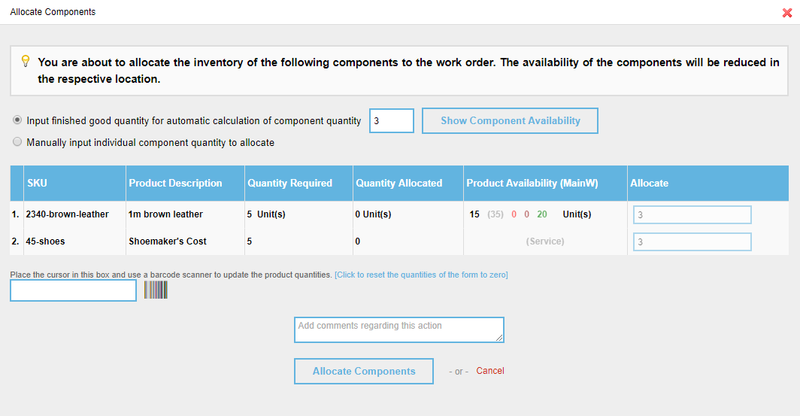 When it is time to send the products to the customer and you click to ship and invoice, you can see the stock availability of the items to check that everything is right (or not). Next to the air conditioner, you can see that you have a product availability of 5. The box next to the installation fee, though, is empty. That happens because there is no physical restriction to how many times you can offer this service. Pretty convenient, right? If you are in the manufacturing industry, you may want to track the labor cost of a work order in order to calculate how much this product costs you. This may be really helpful for Megaventory users that have pricing rules in place which automatically calculate the sales price of a product depending on its cost. For example, you can create a pricing rule for the sales prices of certain products to be the manufacturing cost + a 20%. Back to services, let's see the scenario where you create custom-made shoes. With the manufacturing module of Megaventory, you can track the leather - the raw material - and the service or labor cost of the professional shoemaker as different parts of the work order. Again, next to the leather you can see the product availability in the selected inventory location, while there is no number next to the Shoemaker's Cost. Now that you know how to invoice for services in Megaventory, you can easily bill your clients and partners. Importing your standard service fees in your account will save you time to do the thing you love more as an entrepreneur: run your business. Selling on consignment is a useful arrangement that allows a supplier and usually a retailer to create a “win-win” situation, where they both share part of the risk of holding inventory. Consignment occurs when the consignor (the supplier) sends goods to a consignee (the retailer), who later sells them to their clients. The goods remain under the legal ownership of the supplier and the retailer is required to pay for them only after they have been sold to customers. Any leftover stock can be returned back to the supplier without facing any monetary penalties. From an accounting point of view, when the consignor sends goods to the consignee, there is no need to create an accounting entry related to the physical movement of the products. It is usually sufficient to record the change in location within the inventory record keeping system of the consignor. 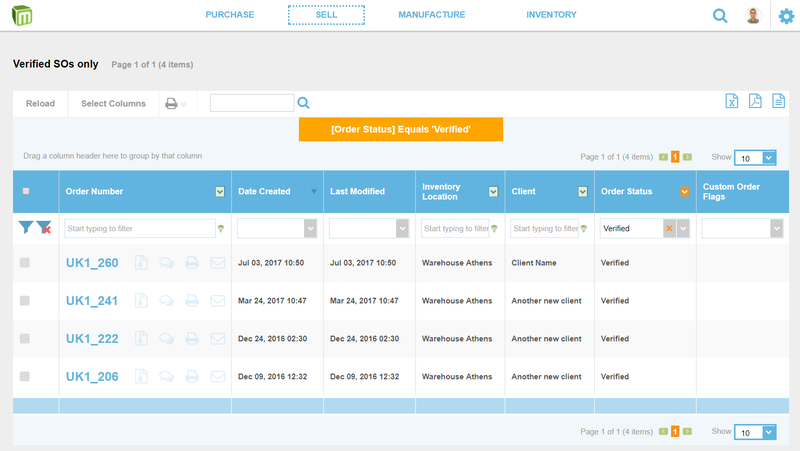 At the same time, the consignee should keep track of the products in their own inventory management system to be able to easily create a purchase invoice for the consignor when some of the received products are sold. The business owner that decides to sell on consignment can have some great benefits from a consignment arrangement. As long as logistics are considered, the inventory costs are reduced because less storage space is needed, which can be a great relief for their budget. At the same time, manufacturers can easier sell their products and reach a wider customer audience. 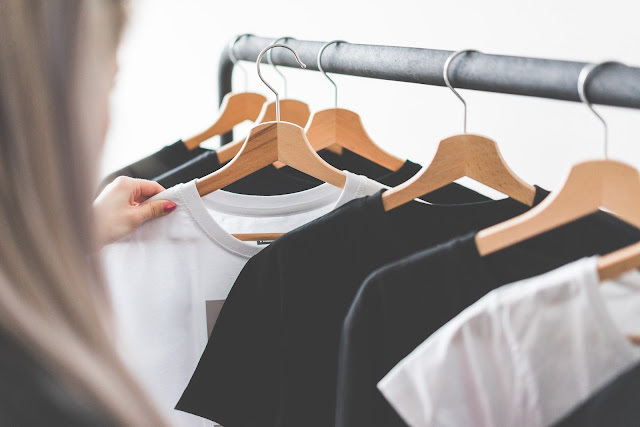 Store owners are usually reluctant to purchase products from less widely-known brands, and a consignment arrangement might ease their fears that they may get stuck with an unsellable inventory. Nevertheless, certain disadvantages of this model should not be overlooked. Lack of visibility on products, especially slow-moving or dead ones, can have a negative effect on the finances of the consignor. 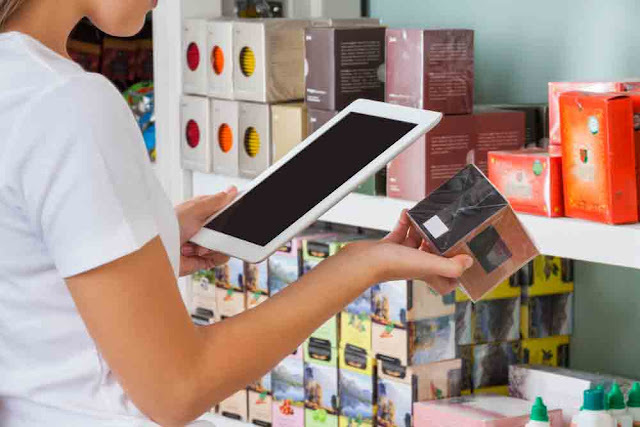 The retailer is not pressed to move the slow moving products by applying sales and offers and the supplier might end up with large quantities of antiquated and unsellable inventory. In other words, it is a risky arrangement, a double edge sword, that can allow a new brand to get into more retail channels, but at the same time, if the retailer is not actually selling the products, your inventory investment as a consignor might not generate a return. The retailer who chooses to purchase products on consignment can see great profit in this model. Without the risk of paying for the stock they replenish, consignees are able to offer a wider selection of products. Even if cash flow is slow in a given period of time, they can still have products to sell on their shelves. While selling on consignment can be a highly beneficial situation for many businesses, it can have some serious disadvantages for the consignee if the arrangement has not been made on solid ground. One such example is to have a common agreement (or not) on who is responsible for destroyed or returned products. This needs to be clear for both parties before suppliers bring their products to the retailer’s warehouse or store. Even if the original price of the products is relatively low and this seems unnecessary, a clear arrangement will reduce misunderstandings and conflicts. In any case, the consignor and consignee have a great opportunity to support each other in a highly antagonistic business world. If both parties are feeling positive about the agreement, they can even take it a step further and follow a common marketing plan to increase sales against their competitors. 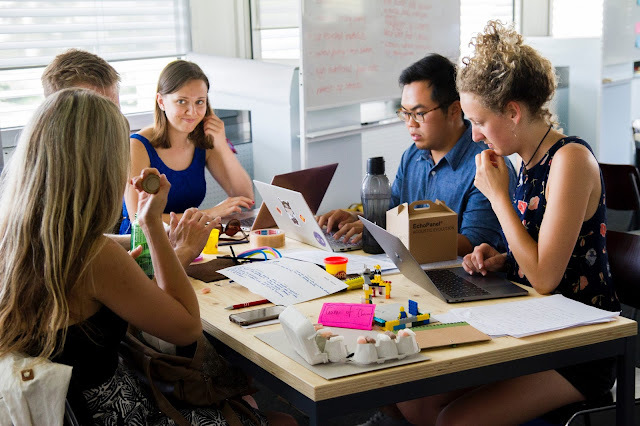 In order to enable this setting in place, an inventory management system can help achieve the desired level of transparency between the two parties that will assist the growth of their collaboration. Handling consignment sales in Megaventory is super easy. From the consignor' s perspective you just need to create a Sales Order where the goods are shipped out in one stepped and you create invoices in a second step as required. The consignee's approach is similar with the only difference being that they create a Purchase Order. 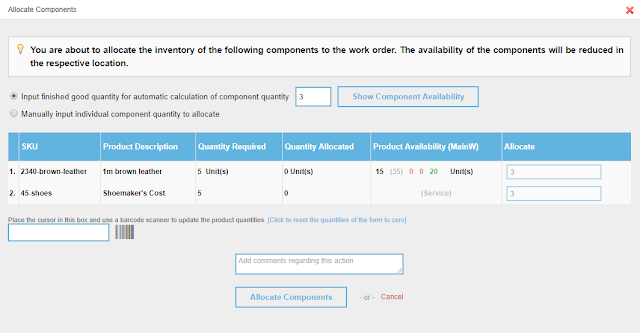 At any point then it is possible to create a filter which shows the number of orders which are to be handled with consignment and their state. Once the bookmark card is available it can be used to filter just the Sales Orders which need processing under consignment. It's that simple and user-friendly! Consignment is an important model, cost-effective, potential, risks too. When handled properly it can be an efficient tool for business growth. It has its pitfalls but it's also worth exploring. Are you interested in becoming a consignor or consignee? See below how you can start an account to streamline the process!